Naughty and Nice Book Blog: J.A. 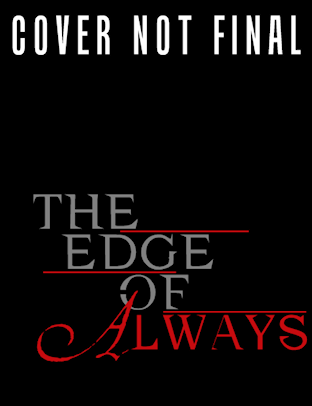 Redmerski Announcement - SEQUEL "THE EDGE OF ALWAYS"
J.A. 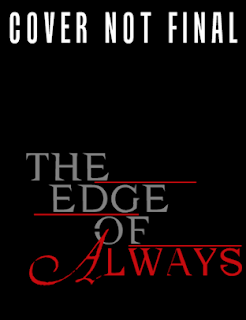 Redmerski Announcement - SEQUEL "THE EDGE OF ALWAYS"
THE EDGE OF NEVER first introduced you all to Camryn Bennett and even though the story was written in both the POV's of Camryn and Andrew Parrish, it was *mostly* in Camryn's POV. But THE EDGE OF ALWAYS, I'm excited to announce, will *mostly* be in the POV of Andrew Parrish! And the cover will look a lot like Camryn's cover except it will have Andrew on it! :-D So, to all of you die-hard cover-obsessed readers out there, you'll get a nicely done matching themed cover to look great on your bookshelf next to THE EDGE OF NEVER. As I mentioned, right now I can't go too into details about THE EDGE OF ALWAYS, but yes, it is a sequel, yes there will be more road trip scenes and yes, there will be more 'hardships' that Camryn and Andrew will face. But that's all I can say!